I don't know about you, but I have to have something on my lips during the day, no matter what I'm doing. Nothing is worse than licking your lips, realizing you need a little moisture, and not being able to find any lipstuff in your bag/car/pockets. Frantic searching ensues, and then you resign to just nabbing whatever they have in the grocery store check-out line. 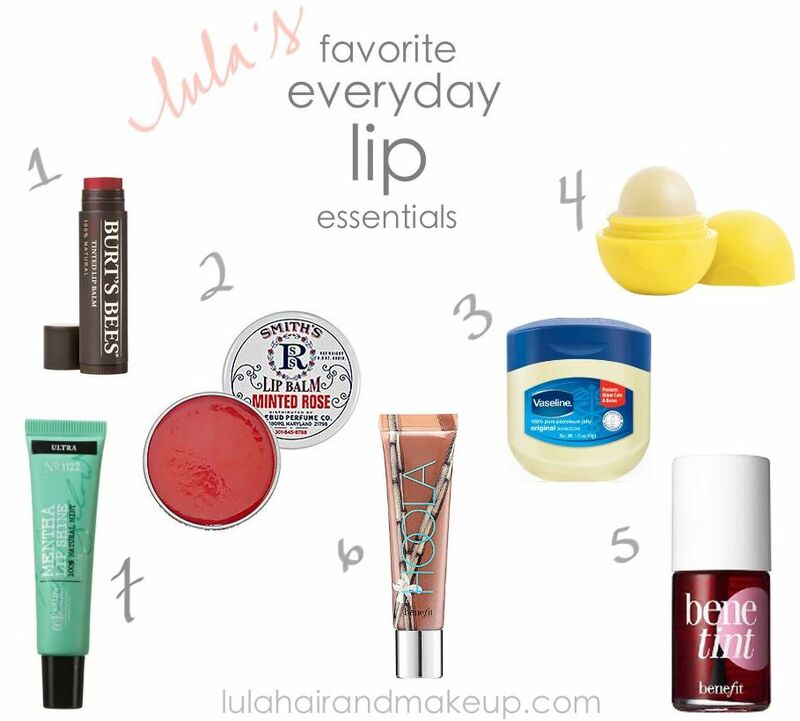 Over the years, I've purchased my fair share of emergency lip things, and these are my tried and true favorites for everyday lip moisture - small enough to fit in your pocket but potent enough to ward away constant lip-licking and a chapped, flaky pout. Happy smiling! my favorite tool for chapped lips, dry nose, or dry cuticles. easy to find in your purse because of the fun and unusual shape, smells amazing, with SPF - no more burnt lips!